A brand & proudly South African company we, at Motherkind know very well with the products being familiar ‘faces’ in our homes. Founded 8 years ago by sisters, Christine & Louiza-inspired by nature and growing up in a very green and organic home, we felt an instant connection. Much like Christine we also questioned the numerous baby products on the shelves, during our pregnancies with our first babes... this exact thought stirred up a lot of researching & investigating into the composition of baby products and Their effects once absorbed into the skin. Both being avid supporters of ‘all natural’ and cruelty free products, Oh Lief ticked all the right boxes and we could rest assured that our little ones were only getting the very best for their fragile skin. The Natural Olive bum balm is indispensable when it comes to baby bottoms. Perfect to use with each change as it is moisturing, soothing and creates a perfect barrier to fend away any rashes or irritations. If a diaper rash does arrive (especially during the hot summer months), this balm is the perfect cure. This Natural aqueous cream got us very excited at Motherkind. A beautiful all purpose product, perfect for young babies skin, toddlers and even mamas. We fell in love with its unscented latherous lotion containing coconut oil, olive and vitamin E. The Bentonite clay properties helped heal skin irritation and aggregations. 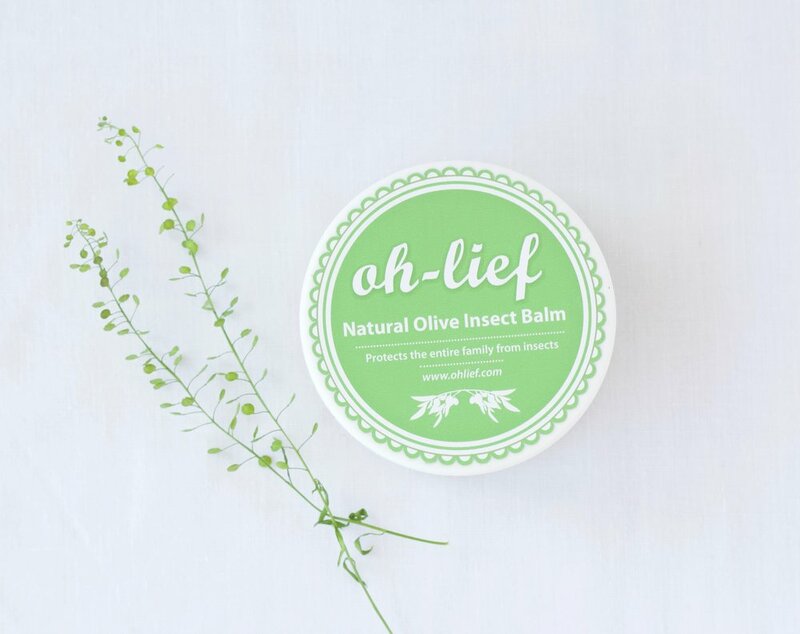 The Oh Lief Inect balm saves us every summer. Our kids are very prone to mosquito bites and we apply this every evening after bath time and it keeps the mosquitos at bay. It has a lovely citrus smell and just glides on. We always ensure we have a tub in our homes. The natural olive baby shampoo has an inviting and wholesome scent that lathers and cleans to perfection. Gentle on the skin and eyes, very loved by our toddler girls who are confident to apply and wash their hair on their own ‘pain free’. The relaxing chamomile adds a perfect element to start our bed time routine. Tried & tested by Chloé Belle. a multi purpose wax aiding in insect bites, calming massage and cradle cap. The perfect addition for our baby massage sessions, sending or little ones into a relaxing zone and peaceful sleep. The Natural olive tummy wax was tested by a pregnant friend who fell in love with this product. Stretching skin can be uncomfortable and itchy, but this wax aided immensely, allowing for the skin to stretch as it needed, creating and easing the belly to grow pain free... she will be using this wax religiously throughout her last few weeks and applying it to her tummy once baby has been born to improve the elasticity of her skin as it makes its way to pre pregnancy condition.